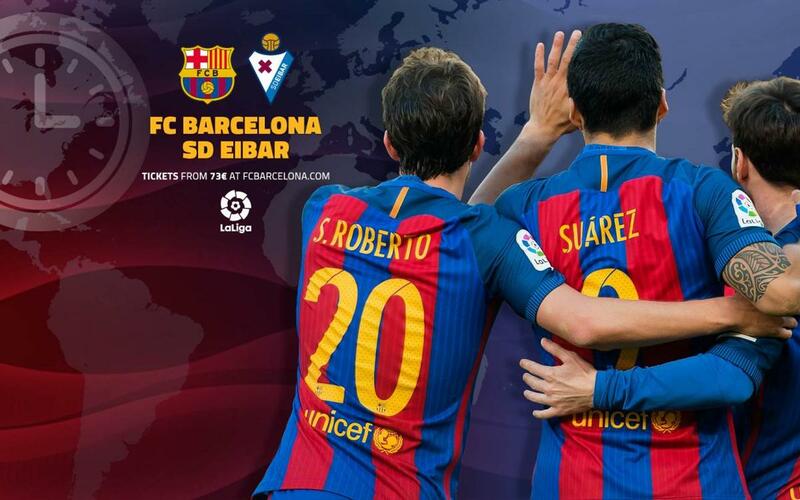 FC Barcelona will continue the fight for the league title in the final La Liga fixture of the season against Eibar at the Camp Nou. Luis Enrique will say goodbye to the fans in his last game as manager at the stadium. His team are in fine form with six league wins in a row. You don’t have to miss out on any of the action as you can check out our handy TV guide below, which tells you when and where you can watch the game wherever you are in the world. You can also listen to live commentary in English on Radio Barça, as well as follow our minute-by-minute updates on Twitter as the action unfolds.